Billionaire Warren Buffett has donated a further $1.25 billion in Berkshire Hathaway Inc. stock to the Bill and Melinda Gates Foundation. The donation is part of a series of donations promised by the business legend, who has pledged the majority of his wealth to the foundation run by the former Microsoft chairman to enhance healthcare and reduce extreme poverty. 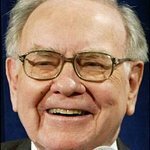 Buffett also donated $125 million to the Susan Thompson Buffett Foundation and nearly $50 million each to the Sherwood Foundation, the Howard G. Buffett Foundation and the NoVo Foundation. Last year, Buffett transferred $1.8 billion to the charity as part of his plan to give away 85% of his fortune to charity.